In 2017, a former employee at Deloitte, one of the largest professional services companies in the world, wrote an email to the company’s CEO, Cathy Engelbert, in which she accused a senior partner at the firm of sexual assault. The woman, who lived in Bermuda and worked out of Deloitte’s office there, said a New York-based partner had assaulted her in 2015 during one of several regular visits he made to the country to conduct client audits. Following drinks with several Deloitte employees, she wrote, the partner brought her back to his Bermuda hotel room under false pretenses where he “violently attacked” her. The accuser, who worked in client services, said the attack left her traumatized. She reported the assault to Deloitte’s human resources department several weeks later, a move she expected to be “career suicide.” Nothing came of that report, she said. Three months after the alleged attack, a surprise visit by the partner to the Bermuda office inspired her to file a report with the local police. That criminal investigation is ongoing, but being “held in abeyance,” or stalled, Bermuda Police Service spokesperson Robin Simmons told NBC News, because the New York partner lives outside of their jurisdiction and has not traveled back to Bermuda since the police report was filed. Twelve days later, after the woman had followed up with another email, Engelbert wrote back. “Thank you for bringing this to my attention,” Engelbert wrote, offering no further reply. The woman, who asked not to be named because she feared backlash within her small island community of Bermuda, is now claiming that Deloitte has not taken her claims seriously and is even impeding a criminal investigation into the matter. Her allegations, first reported by The Australian Financial Review, come on the heels of other recent complaints of sexual harassment and assault at top accounting and consultancy firms. Though these stories haven’t received the same attention as #MeToo stories in the entertainment and media industries, they highlight the ongoing challenges women face in reporting workplace harassment and assault — even at companies led by women who outwardly advocate for women. The woman claims his absence from Bermuda is Deloitte’s way of protecting him from prosecution and shielding the company from controversy. “Deloitte betrayed me,” she went on in the email to Engelbert, explaining her belief that her former employer had informed the partner of the police investigation. The partner never returned to Bermuda. Deloitte spokesperson Jonathan Gandal denied the ex-employee’s allegations and said the Australian Financial Review report cited “inaccurate information,” made “erroneous assumptions,” and assigned “improper intent.” Gandal declined to elaborate, saying the matter was currently the subject of a legal proceeding in Bermuda, but noted that the company hired an outside law firm to look into her claims in 2015, an investigation in which she refused to participate. The woman said Deloitte's investigation was inconclusive. The woman said she declined to participate in any internal investigation until after the police had concluded their own, and says she asked Deloitte not to tell the New York partner that she had filed a police report. “We encourage reporting concerns of inappropriate and unethical behavior including harassment, and we investigate any such complaints and take serious actions when policies are violated,” the company spokesman said in a statement. Two years after the alleged assault, the woman — who was no longer working for the firm after being laid off due to a company restructuring — reached out to Engelbert. “My health suffered, my performance and relationships at Deloitte were strained and I was eventually made redundant. There's been no consequence for the Partner as far as I know, but my career was destroyed,” the accuser wrote. Engelbert was named the head of Deloitte’s U.S. operations in 2015. Elected by a partner vote, she was the first woman to lead of one of the Big Four accounting firms. Her four-year appointment ends this spring and she has not been renominated for a second term, according to a report in the Wall Street Journal. 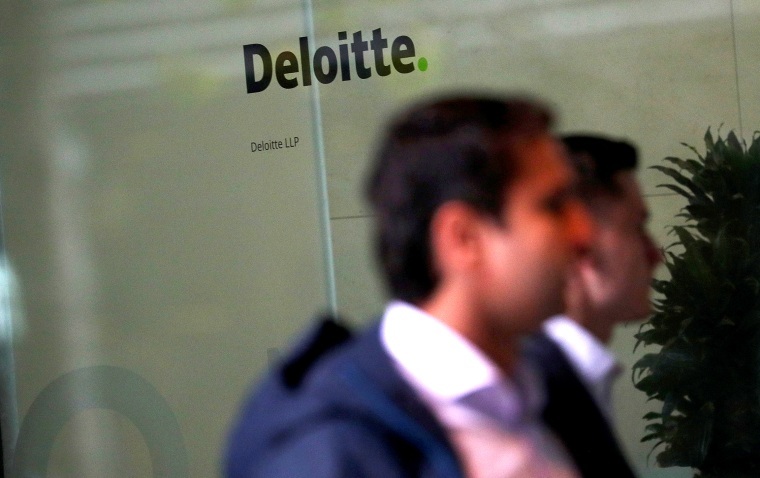 The succession decision by Deloitte’s board was unrelated to the woman’s allegations, a company spokesman said. It was that advocacy that led the former Deloitte employee to write to Engelbert two years after her alleged assault. Mike Cappetta contributed to this report.